Pool cleaning is probably one of the toughest household chores out there. You are probably wishing for your pool to somehow magically clean itself so you can enjoy it for your next use. Getting the best out of your pool surely needs a lot of work. Stop avoiding the chore of cleaning the pool. Automatic pool cleaners are the answer to your troubles! Especially with the Dolphin E10 automatic robotic pool cleaner. 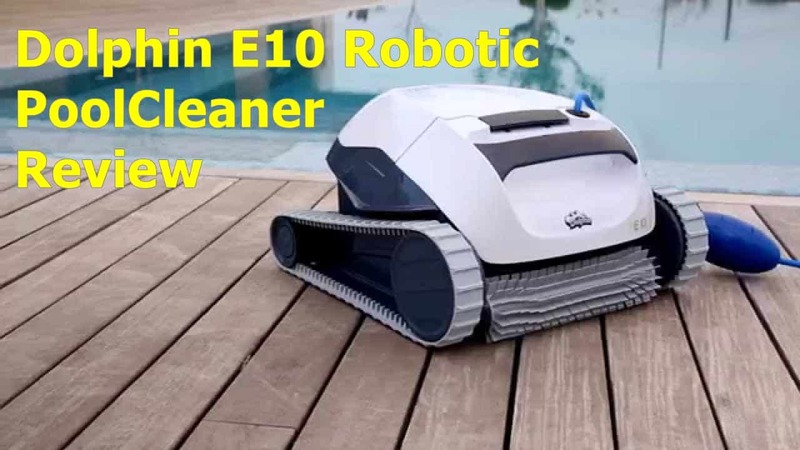 Learn more about the Dolphin E10, what its primary features are and what are its advantages over other robotic pool cleaners available in the market today. ​Checkout the list of Top Rated ​Robotic ​Pool ​Cleaners Here . The Dolphin E10 is ergonomic, lightweight and super easy to use. It works with the "drop and go" principle. All you have to do is to plug it in, press a single button, and you can get it out to play. It works best for above-ground pools and you are assured with its warranty for two years. Now, what are the features that come with this product? 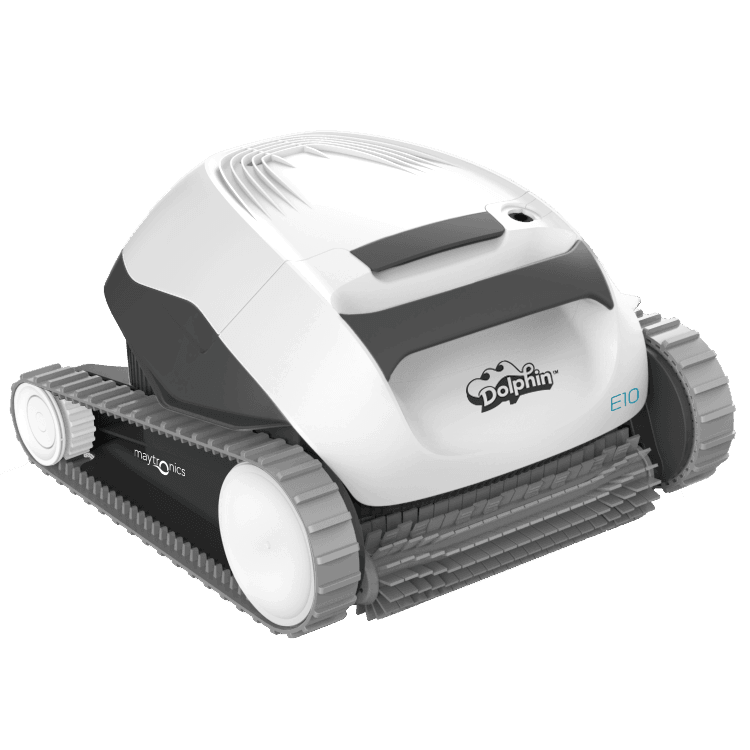 The E10, like most of Dolphin robotic pool cleaner products, is equipped with CleverClean technology. This means that this robotic pool cleaner will make sure that every inch of your swimming pool's floor is cleaned while using the most effective route. So you're not only assured that it's cleaning every possible area, but you are saving a lot of energy too with this feature. It's truly a smart way of cleaning. It also won't get stuck with any obstacles that could get in the way, as it can easily avoid these and recognize them as non-efficient routes. Aside from that, the E10 also has an effective filtration system which removes coarse to fine debris with an efficient and clog-free system. Gone are the days wherein you'll think that these cleaners aren't "smart" enough to catch all the finest debris, or even clog up the filter. You might think that mechanism is complicated, seeing as how it lightens up your burden, but all you have to do is just to rinse and reload it after every use. It’s really convenient, right? Also, you don't have to worry about electricity bills shooting up the roof as this device is optimized to save time and energy. You just have to power the device by turning on the on/off button with the easy-to-use touch screen control and you're done! The Dolphin E10 is primarily designed for residential above-ground pool use. It is equipped with a single-active scrubbing brush that spins twice as fast as the speed of any Dolphin material out there. Did we mention that the 2-year warranty does not come with any pro-rating or limitation to its hours or cycles? This means that you’re really assured with this product as long as you send it over two years after the purchase date. Connection: Plug-and-play. Single button operation. Will it work with in-ground pools? Although this specific model is designed to clean the floors only, you can also try to use it if you have an in-ground pool. However, its features won't be fully be maximized as it is not specifically designed for an in-ground type of pool. What is the typical lifespan of the Dolphin E10? The Dolphin E10 is designed to be durable and withstand the seasons. There's really no typical lifespan because it all depends on the amount of use, pool chemistry, and pool surface. The Dolphin E10 requires a standard 120 volts outlet for power. What are the ideal operating temperatures for the Dolphin cleaner? It is recommended to operate the E10 for temperatures between 43 and 93 degrees. Can I change the filter for this unit? Yes, you can. You can opt to choose an ultra-fine filter basket for this unit if in case, you would want to catch all the ultra-fine debris floating in your pool. How do I remove the Dolphin E10 from the pool? The Dolphin E10 is equipped with a floating cable which you can use to pull the automatic pool cleaner to the edge of the pool. If it's within your reach, then you can easily grab it and remove the robot from the water. It's important to note that you should not pull the robot out of the water using the cable. Place the pool cleaner on the side of the pool to allow the water to drain. Overall, the Dolphin E10 is a great tool to have. There's really nothing more you can ask for from a robotic pool cleaner. It's very convenient to use and you don't even have to go around, clean the pool manually or supervise your pool cleaner. You are not only saving energy by doing so but you can save a lot of time, as well. Well, that’s what robots are for. The Dolphin E10 does not only clean efficiently, but it cleans smartly, too! You're assured that even the tiniest bits you can't filter, this pool vacuum can remove. So, you see, cleaning the pool doesn't have to be a taxing chore! Of course, it's something you really need to do to lengthen the service life of your pool and its parts. But it can also be an enjoyable activity at the same time. That is possible with a little help from a friendly Dolphin E10.